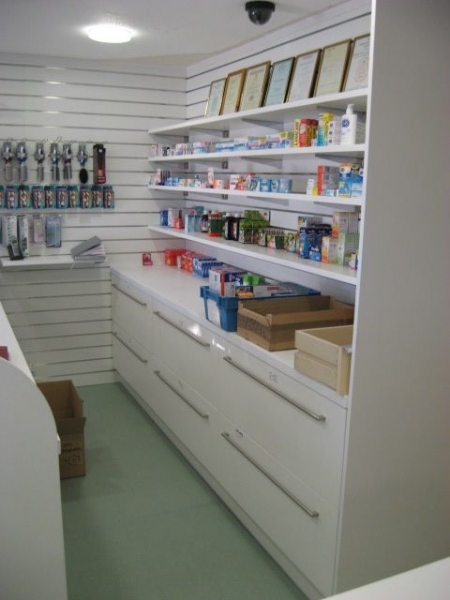 We were contacted by one of our customers that we had previously installed a new kitchen, two bathrooms & two bedrooms for ask if we were able to refurbish her pharmacy located in Cwmbran as she was so pleased with our standard of work at her home. 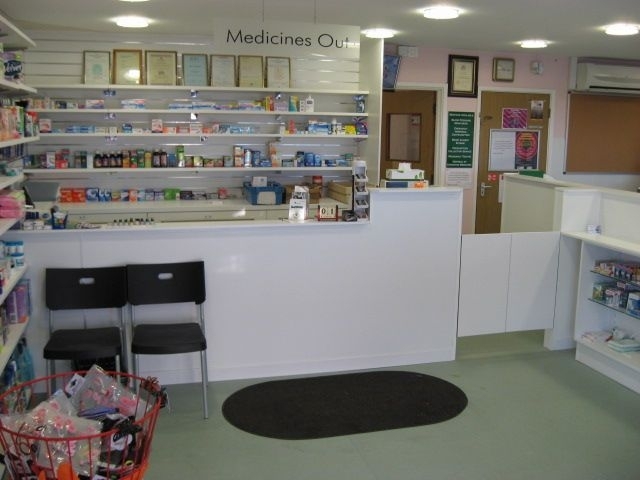 After numerous visits to the premises prior to installing we secured the installation with a design that was pleasing to the eye for the customers but more importantly was more spacious and worked better for the staff during their seven stages of dispensary. 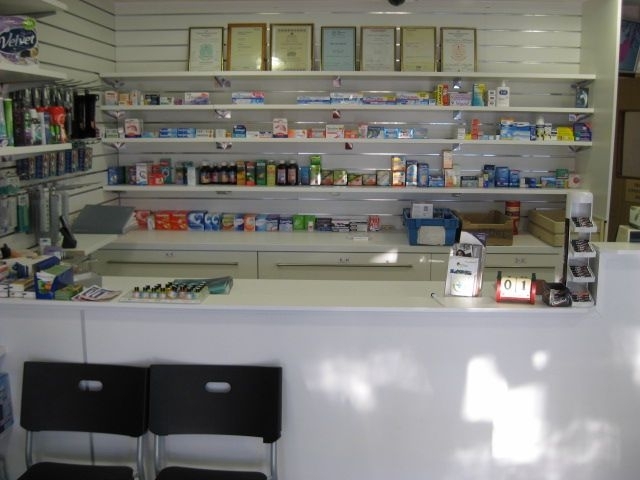 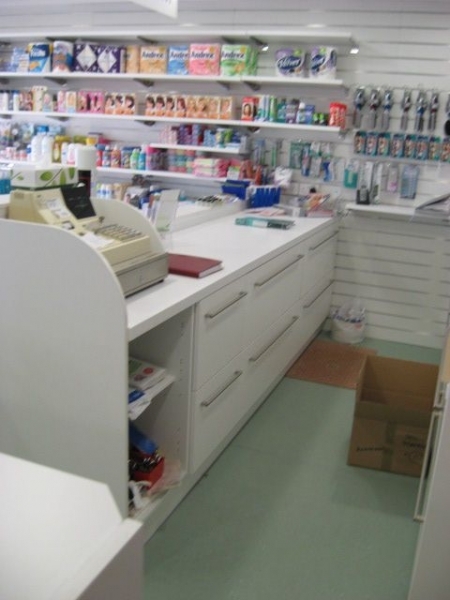 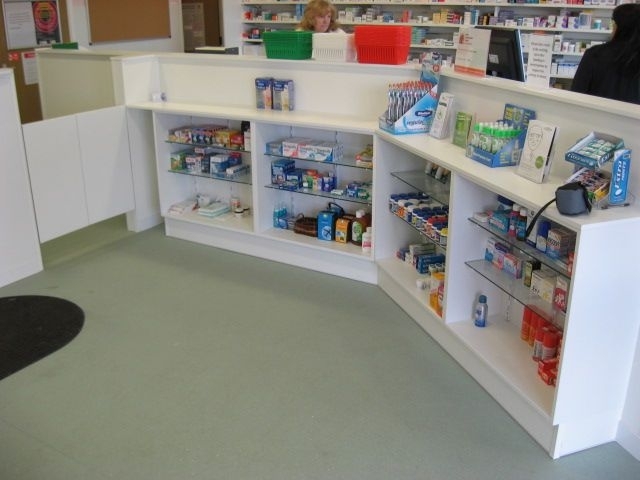 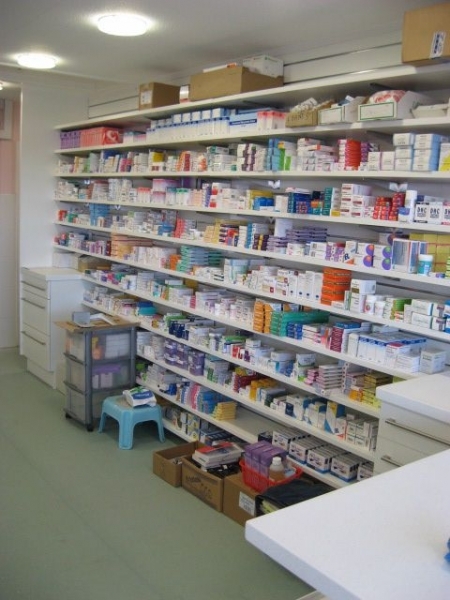 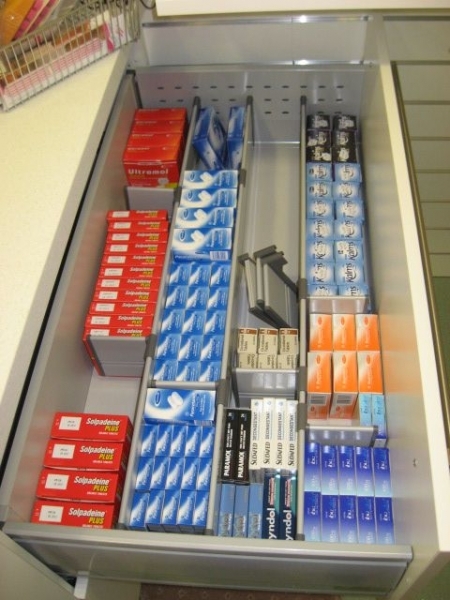 We agreed on a final selection of easy clean high gloss fascias to all storage drawers, anti bacterial moulded worktops throughout all rooms; the dispensary was installed with 25mm laminated boards that vastly increased their storage capacity of the pharmacy. 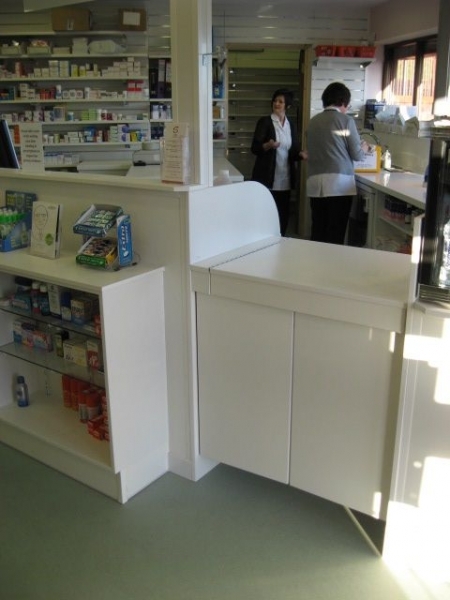 The work could only be carried out at the premises after discussions with the local heath board, whilst the pharmacy was officially closed and during this month that the installation was carried out we over came snow at every time that this was to be done. 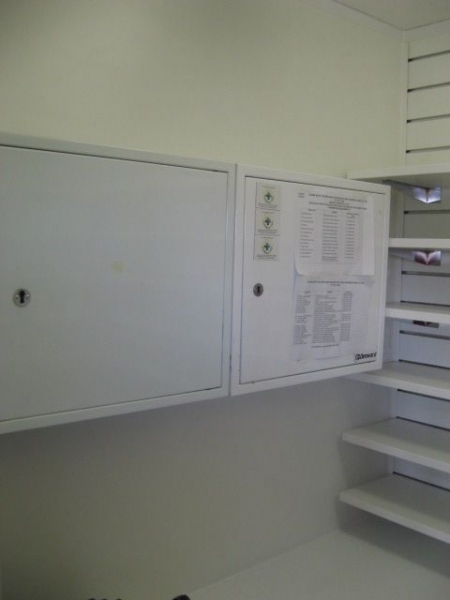 Please browse through the various photographs showing the stages that the work was completed.